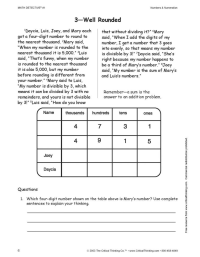 Middle school worksheets and activities designed for kids in grade 7 and grade 8. Help your kids practice what they’re learning in middle school with these fun printables. Also, learn more about what to expect from middle school. Test your grammar knowledge with this quiz about quotations, underlining, and apostrophe use. 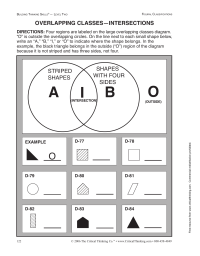 Provided by ExtraWorksheets.com. Identify the parts of each word and deduce their meanings. 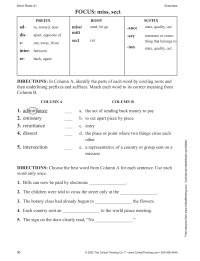 From The Critical Thinking Co.'s Word Roots A1—helps teach students the meanings of Latin and Greek prefixes, roots, and suffixes commonly used in English.